Product Description: A wake-up call to even the most health conscious Americans, this book challenges conventional wisdom about sickness and unhappiness in today's contemporary culture and offers ground-breaking solutions for achieving change. 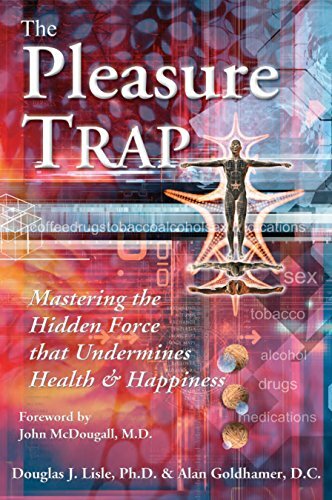 Inspired by stunning original research, comprehensive clinical studies, and their successes with thousands of patients, the authors construct a new paradigm for the psychology of health that offers fresh hope for anyone stuck in a self-destructive cycle. Learn unique insights into the factors that make us susceptible to dietary and lifestyle excesses; then discover how to restore the biological processes designed by nature to keep us running at maximum efficiency and vitality.